St Claude commercial corridor is growing with many national and local businesses making plans along this important thoroughfare. 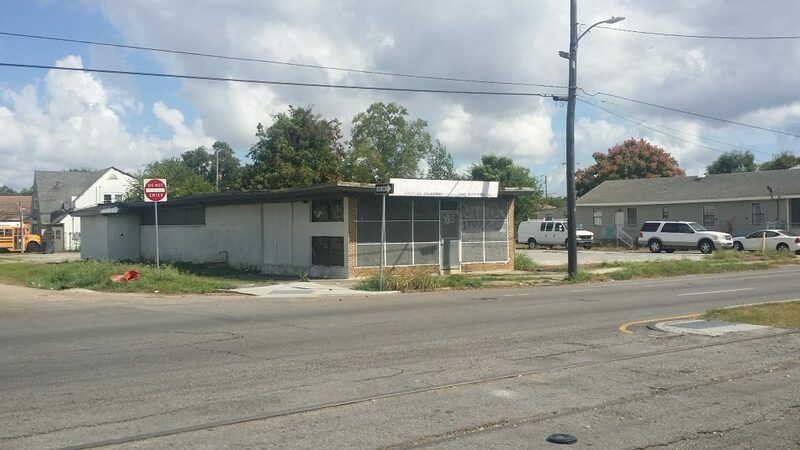 NENA is seeking ideas, plans, and proposals for this commercial property at 5701 St Claude Street on the corner of Lamanche. The ultimate development will be the highest and best use for the community. The foundation and walls seem sound and NENA is seeking funding for a new roof. The 2,100 square foot building accompanies the lot at 5707 St. Claude which provides ample parking for any commercial activity. The combined lots measure 73′ along St. Claude by 117′ deep. 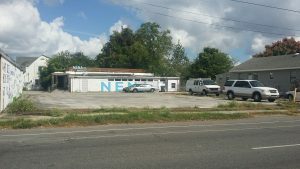 NENA Offices are housed directly behind the property and can be seen in the rear of the parking lot photo. Ongoing management and oversight of any future project is facilitated by the proximity of administration. To make recommendations or discuss possibilities please call or text Ron Mazier at 504-650-1523. To make a donation, please click the Donate button.